Lee County Sheriff’s Office is investigating a shooting at the Bell Tower Shops near Society and TGI Fridays in Fort Myers. Kevin Robinson, 55, and his son Javarcia Riggins, 33, were both fatally shot, according to Sheriff Carmine Marceno. Two other victims were transported to the hospital. An unidentified woman is in critical condition and an unidentified man is being treated for minor injuries. While damages of the Tuesday evening shooting are still visible, the parking lot at the Bell Tower Shops has reopened to the public. Those on the scene can see storefront windows shattered from bullets. Crime scene tape still blocks off some areas of the mall. A woman said she saw her husband and son killed in front of her. She said they were having dinner at TGI Fridays for her birthday when they went outside for a cigarette and someone started shooting. I have never heard such screaming in my life. My heart goes out to that broken soul whose life was shattered tonight at Bell Tower in Fort Meyers. 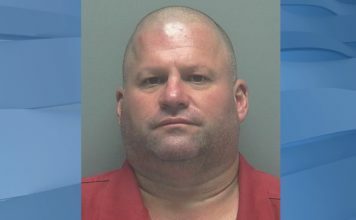 Donny Overholser said Robinson was instrumental to a local little league baseball tournaments in Fort Myers. There would be many out-of-town parents and children competing. Robinson would go out of his way to welcome them while also maintaining the appearance of the field before games. Overholser, president of the Fort Myers Little League, thought the shooting was horrible when he first heard of the news. He wasn’t prepared for what happened next. Sandra James, a friend of Robinson, said he was celebrating his girlfriend’s birthday at the time of the shooting. James expressed frustration for the senseless crime that was perpetrated against her best friend and his step-son. Scott Dingess was also celebrating at Bell Tower Shops at the time of the shooting. He was at one of the bars for his birthday, until it was soon interrupted by gunfire. His first instinct was to run towards the gunfire. As screams pierced in the air, Dingess encountered two people wounded from gunshots and a man who was dead in the parking lot. Soon after, the military veteran with the assistance of another person, helped a woman until the medics arrived. “You just don’t think about those kinds of things at Bell Tower,” Dingess said. “It’s just not the type of environment. Sheriff Marceno said the shooting is not a random act of violence and was targeted. But they have not released any information regarding possible suspects in its investigation. “Upon arrival, I was very relieved to see that one of my stellar employees took action and used the exact methods we practiced during our Active Shooter Response Program conducted by Aaron Forum and Cadre Machin with the assistance of Shoot Center Cape Coral. Society is open regular hours. Our thoughts and heartfelt sympathies are with all who have been affected by this tragedy. Bell Tower Shops is cooperating fully with Lee County Sheriff’s Office as this is an ongoing investigation, any further inquiries should be directed to their Public Information Office. Trust WINK News to update this story and bring you more information as it becomes available. 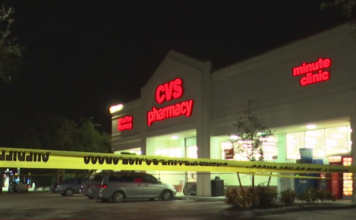 Anyone with information should contact Southwest Florida Crime Stoppers at 1-800-780-TIPS (8477). All callers will remain anonymous and will be eligible for a cash reward of up to $1,000. Tips may also be made online or by submitting a tip on the P3Tips mobile app.